Built in 1450, the temple of Bagnath has been home to many Indian festivals such as Diwali, Shiv ratri and Uttarayani Fair. 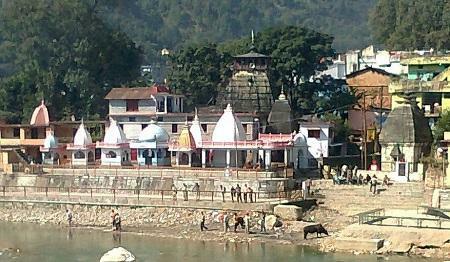 Located in the city of Bageshwar, the temple is an ancient monument dedicated to Lord Shiva. The temple structure is beautiful and holds a rich history, which you can learn if you are on a guided tour. The idols are mesmerizing to see and the overall temple area is well-maintained, and clean. The interiors of the temple feature stunning and impressive carvings which will charm you at every step. Surrounded by a river, this is a holy place a great place of importance. very famous temple of lord Shiva near the bank of river Saryu , this temple has great historical background. very famous Uttrayani Mela is celebrated every year near by temple campus . At the bank of Saryu and Gomti river this temple is very old and beautiful. It's a beautiful place with some amazing people and the atmosphere here is just so calm & welcoming.